Destiny BYATERANA studied at the Université Libre des Pays des Grands Lacs in Goma « ULPGL-Goma » in the Democratic Republic of Congo. He graduated in Faculty of Health and Community Development, holder of a Bachelor in Community Health, obtained in 2013. Destin BYATERANA studied at the Université Libre des Pays des Grands Lacs in Goma « ULPGL-Goma » in the Democratic Republic of Congo. He graduated in Faculty of Health and Community Development, holder of a Bachelor in Community Health, obtained in 2013. 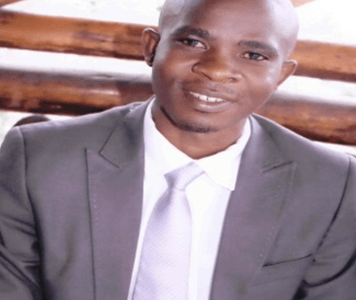 During his academic career, he was president of the students of the Faculty of Health and Community Development at ULPGL-Goma fiscal 2011 -2012. After graduating from university, he worked as an assistant at the General Directorate of the Non Governmental Peace and Justice Initiative. In addition, works as Consultant Agent within the Health Services Development Fund “FDSS” for the accompaniment of the Ministry of Public Health of the DRC to LLIN distribution campaigns. Currently much inspired by primate research, education, and the sustainable conservation of non-human primates, he has joined Primate Expertise (PEX) where he currently serves as a director.